Be the Light is a heart driven project striving to promote mindfulness, living with intention, and self-love; one soul at a time. Our logo was designed with the vision of rays of light reflecting into the shape of a triangle. The triangles, a powerful Universal symbol of change- are incorporated as a reminder that change begins within and can be reflected to the world around us. We strive to create quality products that evoke feelings and emotions from you. Wearing this message is a beautiful reminder of the power we have within to find light in everyday moments. We want you to be able to move freely in our apparel. Whether it be a yoga class, a day at the beach, or a day spent in the city, we want you to feel comfortable and relaxed in our products. We choose suppliers that are local and apparel that is made in the most sustainable and ethical ways available to us. We believe that the light begins long before the apparel touches our hands and we want you to feel it too! 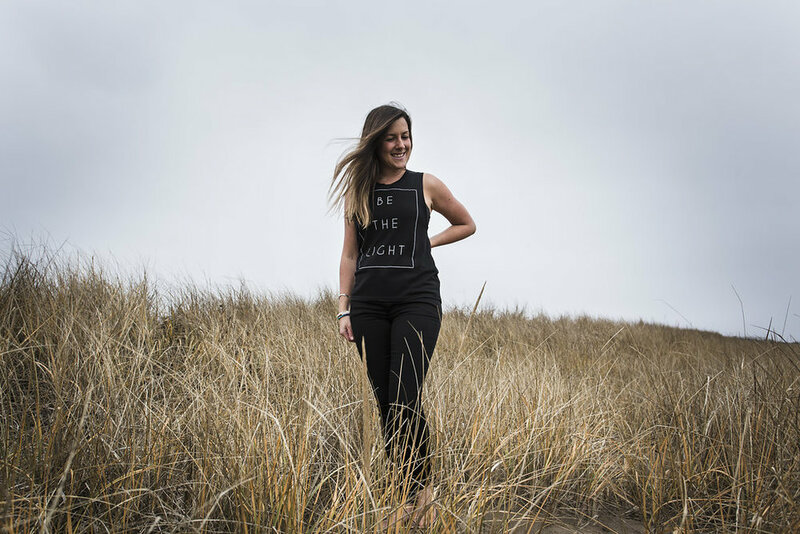 A portion of the proceeds from the sales of all Be the Light products goes directly towards organizations working to heal and empower individuals.